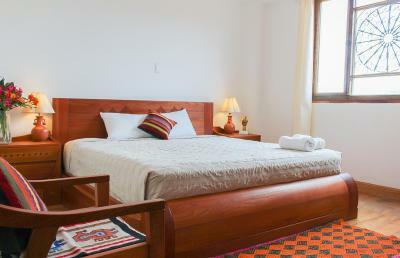 Lock in a great price for Waman Qorikancha - rated 9.2 by recent guests. 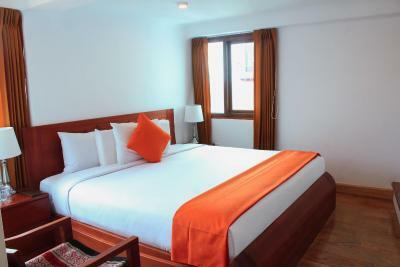 The bed was very comfortable, the breakfast was good and it was very clean. The staff could not have been more helpful. The rooms are actually better than the photos you see! 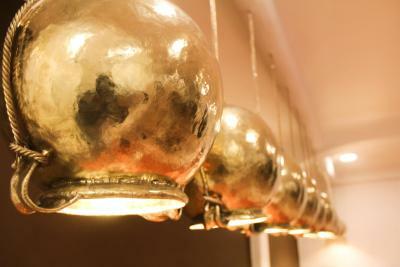 The staff were absolutely brilliant and so accommodating. Quite possibly the best bed we’ve ever slept in! Wonderfully comfortable and a great selection of pillows. 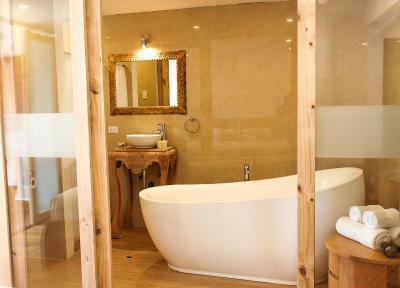 Amazing shower and bath seperate to the toilet - extremely hot water and white fluffy towels. Staff were very helpful and accommodating- they even brought a cake to our room and sang happy birthday to me which was lovely! Breakfast was very good - great selection of fresh fruit and some hot foods too. Great central location and very secure. Service and attention given upon arrival to the hotel was excellent. Friendly. Outstanding staff who went out of their way to help. Clean room good breakfast. As good a staff (every one of them) we have encountered. Very friendly and helpful staff. 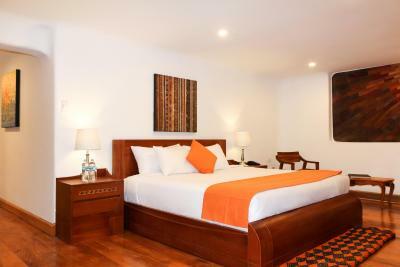 Great location, a few steps away from Qoricancha temple and walking distance from many great tourist spots. 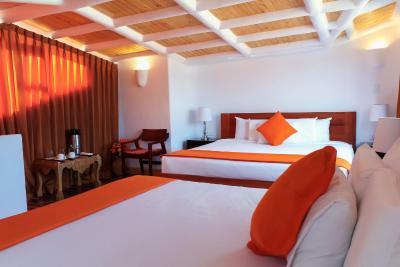 Neat and spacious rooms. 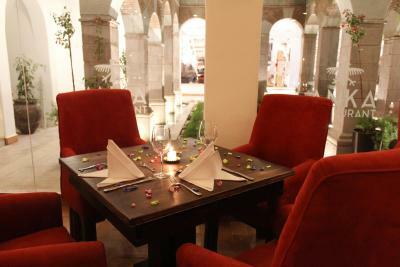 Everything was great but the greatest aspects were the friendly and very helpful staff and excellent breakfast. 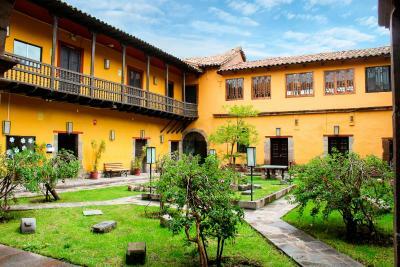 Located within 900 yards of Hatun Rumiyoc and 900 yards of Coricancha, Waman Qorikancha in Cusco provides a garden and rooms with free WiFi. 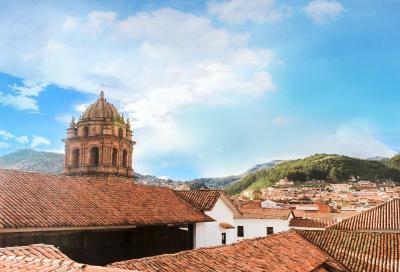 Attractively set in the Cusco City Centre district, this hotel is situated less than 0.6 miles from Religious Art Museum. 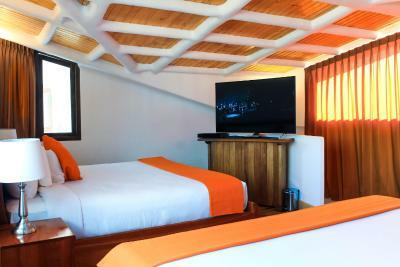 The rooms include a flat-screen TV with cable channels. At the hotel, all rooms have a wardrobe. 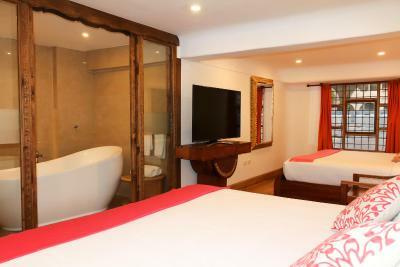 The rooms come with a private bathroom and a bath, and certain units at Waman Qoricancha have a patio. 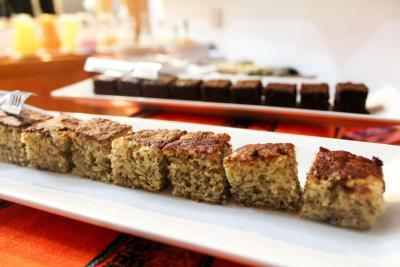 A buffet breakfast is served daily at the property. 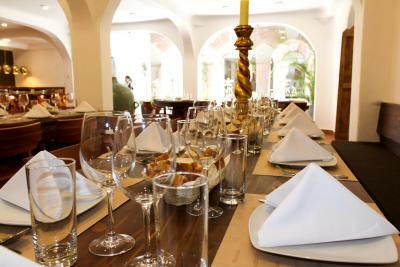 Guests can enjoy a meal at the in-house restaurant, which serves Peruvian cuisine and also offers vegetarian options. Around the clock assistance is available at the reception, where staff speak English, Spanish and Italian. 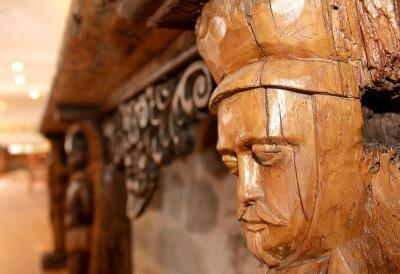 Santa Catalina Convent is an 11-minute walk from the accommodation, while Church of the Company is 0.6 miles away. 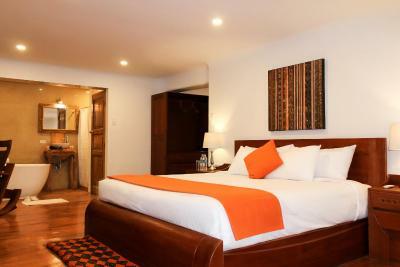 The nearest airport is Alejandro Velasco Astete International, 3.1 miles from Waman Qorikancha, and the property offers a free airport shuttle service. 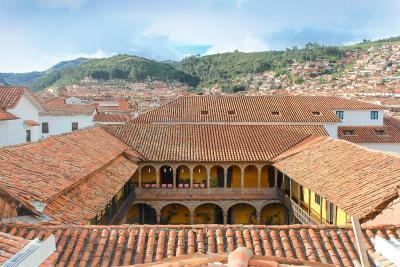 Cusco City Centre is a great choice for travellers interested in food, history and culture. 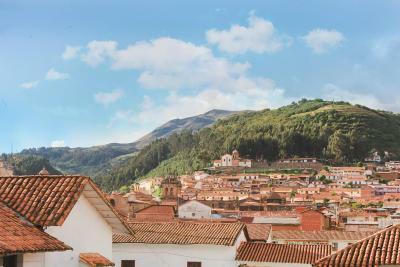 This is our guests' favourite part of Cusco, according to independent reviews. 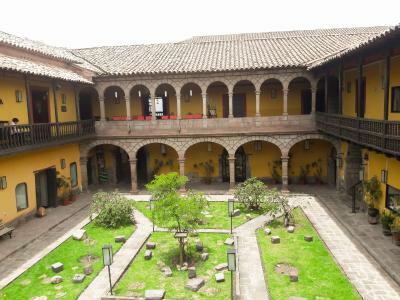 Waman Qorikancha has been welcoming Booking.com guests since 22 Sept 2017. 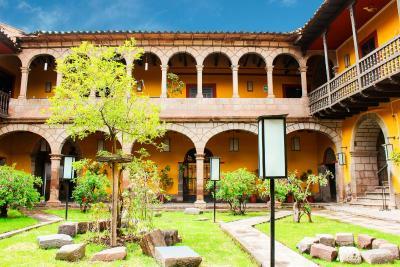 When would you like to stay at Waman Qorikancha? 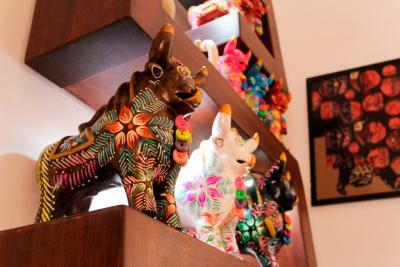 House rules Waman Qorikancha takes special requests - add in the next step! Waman Qorikancha accepts these cards and reserves the right to temporarily hold an amount prior to arrival. The photos do not do the accommodation justice. Airport transfer was included in stay. Staff were friendly, polite and professional. The restaurant food was amazing. Location was perfect. Thank you. Our room needed more privacy regarding bathroom. We were 4 in the room and the shower section didn’t have curtains or a non clear glass. The staff was very kind and attentive. We had to leave at 4am each day to get to our tours and they left our breakfast boxes ready. They offered tea several times. 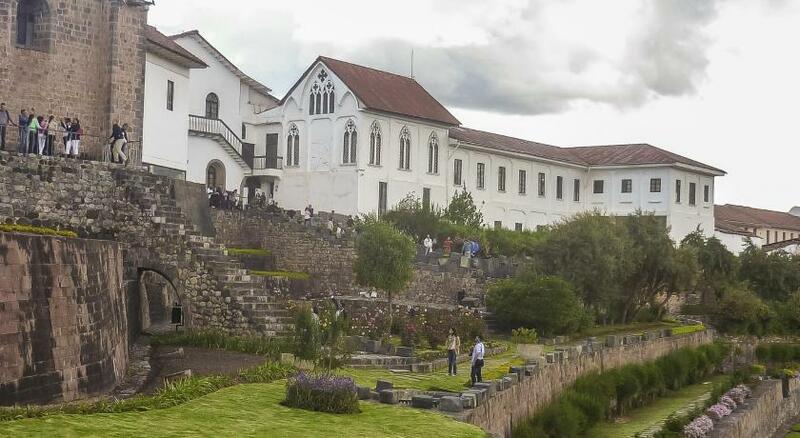 Given the status of the food and water safety in Peru, I would have appreciated more information about the Hotel's food and beverage handling practices. Noise level. The room didn't really buffer the noise from the hallway so you could hear people quite loudly. The room was cold and we could have benefited from space heaters or similar. Great location, walkable to all. 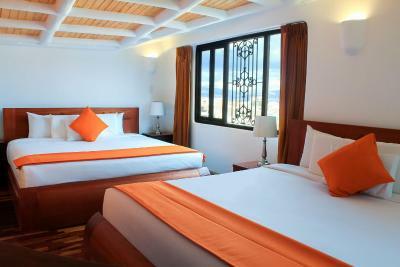 The Superior Triple room with three king sized beds was luxurious for me and my 3 friends. Beautiful beautiful hotel. Very friendly staff. They were working in the hotel, remodeling dome spaces. Room doesn’t have blackout, therefore lights enter into the room early. Property was very clean, people were very friendly and kind. 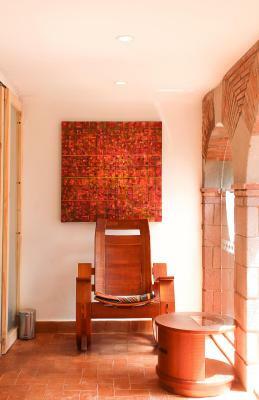 Location was perfect, very close to main attractions. Some small improvements could be: Power outlets by the bed A trash can in the room not just the toilet A soap dish Pancakes at breakfast I wouldn’t make the hotel down for any of the above but they would make nice additions! There wasn’t a Hairdryer in the bathroom. No hanging facilities for clothes, noisy, no safe. Internet regularly drpped out no television reception first two days. The see through glass shower was a bit uncomfortable for a group of friends. We had to stay in a "safe zone" while one took a shower. We requested a curtain or something to help with this but they weren't able to fix the biggest issue we had in the room. The internet was weak and there was no coverage in the second floor. There was no closet to hang or store clothing. The communication with the front desk as to how taxis they reserved was very poor. They never let us know we weren't expected to pay the taxi they reserved and had to pay the hotel directly. The taxi fees the hotel charges are outrageous! We were charged 5 dollars for a ride that was two blocks! A ride to the airport cost approximately 5 soles and we were paying for a shorter distance waaaaaay above market price. The same when we booked our taxi for the airport we were charged $10 and were crammed into a small car and I had to take my suitcase in the front with me because it didn't fit in the trunk. We were paying way above market value (5 times more than what a regular taxi charges) and I was extremely uncomfortable the whole ride there because I had to take the suitcase with me in my seat. There's a whole lot they need to work on. Don't book taxis with them and don't book a room if you aren't comfortable with your roommates seeing you in the shower. 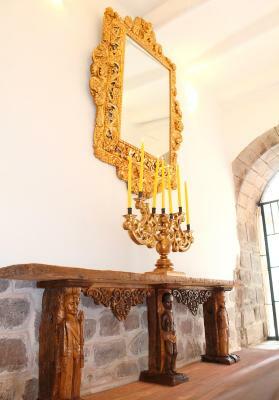 The hotel was beautiful, the staff was attentive and the location could not be beat! The beds were very comfortable and the pillows were amazing. The sheets were warm and the beds were huge! A bit difficult to find with no sign on the street. 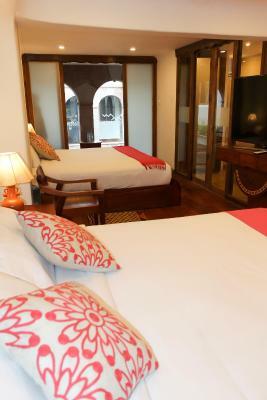 Large, artfully decorated room with king-size bed. Friendly, attentive staff. Great breakfast.